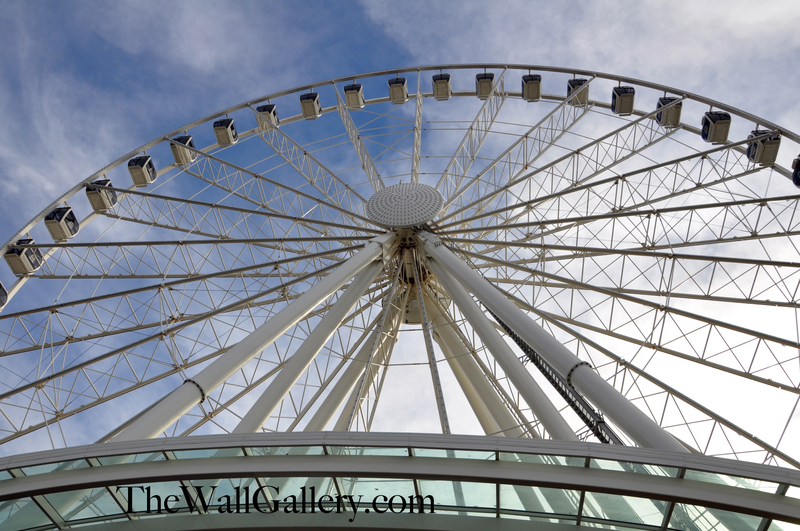 The Seattle Great Wheel is the largest observation wheel on the west coast, standing 175 feet tall. 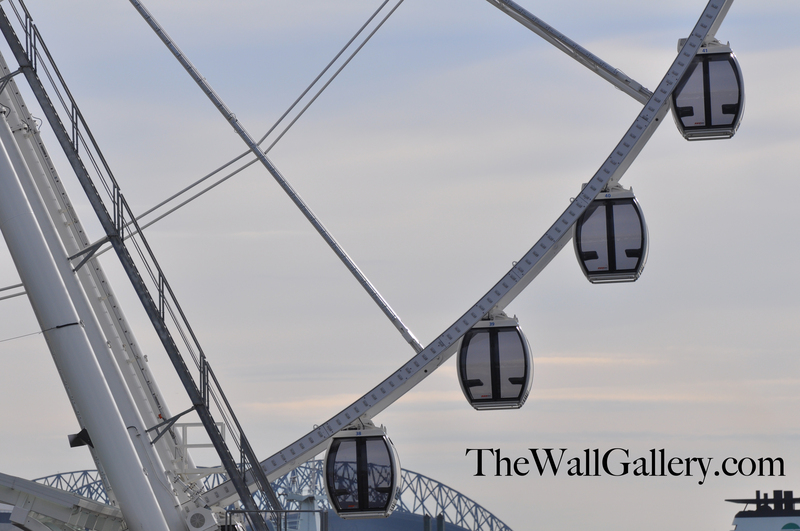 The wheel has 42 fully-enclosed gondolas. Each gondola seats up to eight people, meaning the wheel can hold over 300 passengers at any given time. 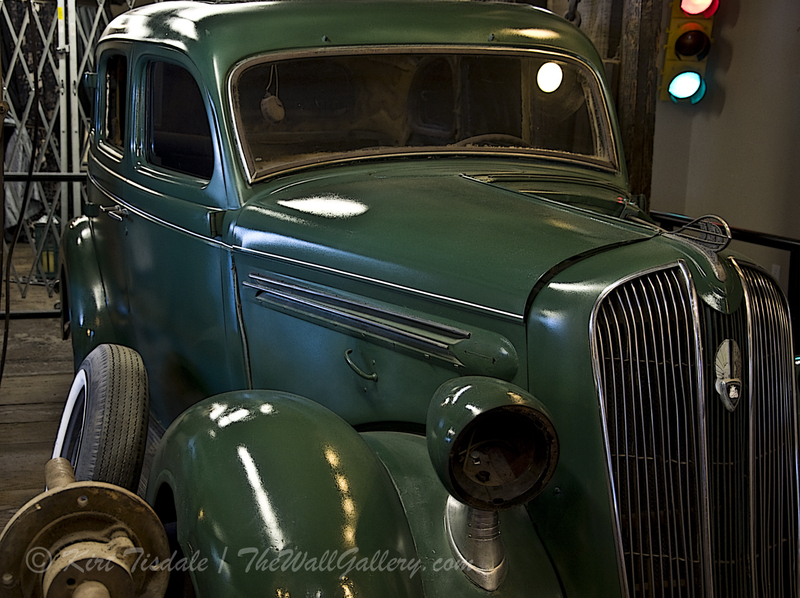 The wheel was manufactured in various parts of Europe and the United States, and assembled right at the end of the pier. 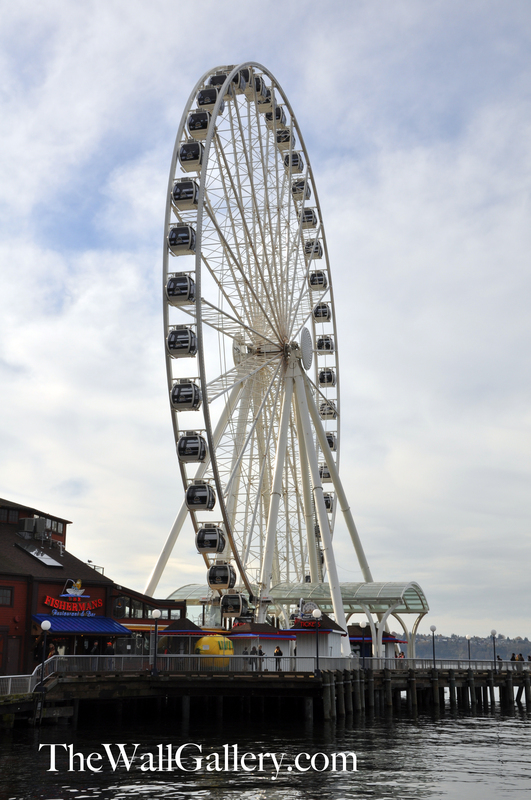 The wheel extends nearly 40 feet beyond the end of the pier, over Elliott Bay. The Seattle Great Wheel is open year round. With fully-enclosed gondolas and a covered waiting area, the rain can’t stop the wheel from spinning! The Wheel weighs 280,300 pounds. 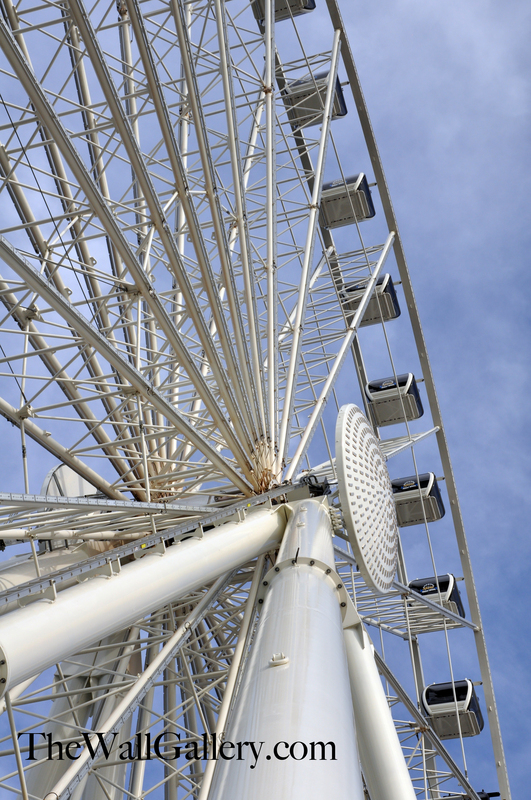 550 tons of concrete were poured to create the foundation for the wheel. My shots are from the view-point of a photographer/artist, so I always look for unique angles and composition. The first picture is of the city skyline and the beginning of the pier. I framed this shot to highlight the fall colors of the trees against the city back drop. The ferris wheel is at the end of the pier past Miners Landing. Please note, it doesn’t always rain in Seattle…nice sunny day!! The next picture is of the Seattle Great Wheel sitting at the end of the pier! 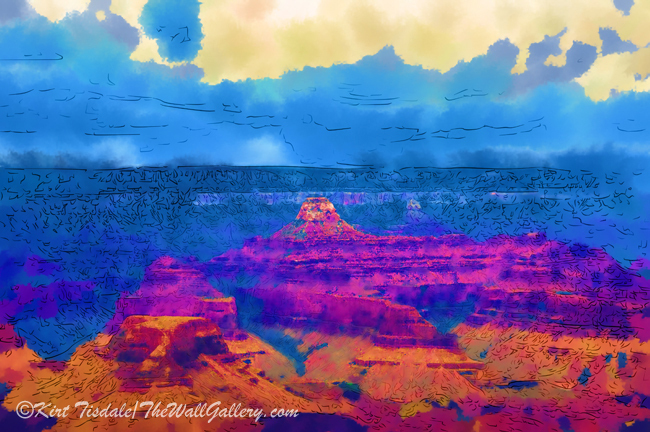 The next shots are clearly “artistic” in nature, but I like some of the elements and composition, so I wanted to share the originals before I start playing with them. This one is from beneath the wheel looking up… The next one is standing beneath the wheel looking up one of the support structures..
And the final shot a look at the gondolas……..
As I work through the shoot and evaluate what I have, some of the shots will find themselves transformed into paintings and black and white photography, while others will stay color photographs. Thoughts? Comments? 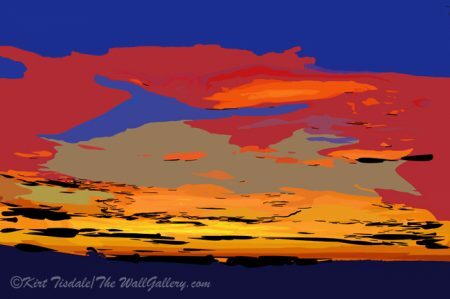 Please visit my main gallery: TheWalllGallery … and follow my work on my Facebook page – TheWallGallery by Kirt Tisdale. (Page likes are always appreciated!) Thanks! 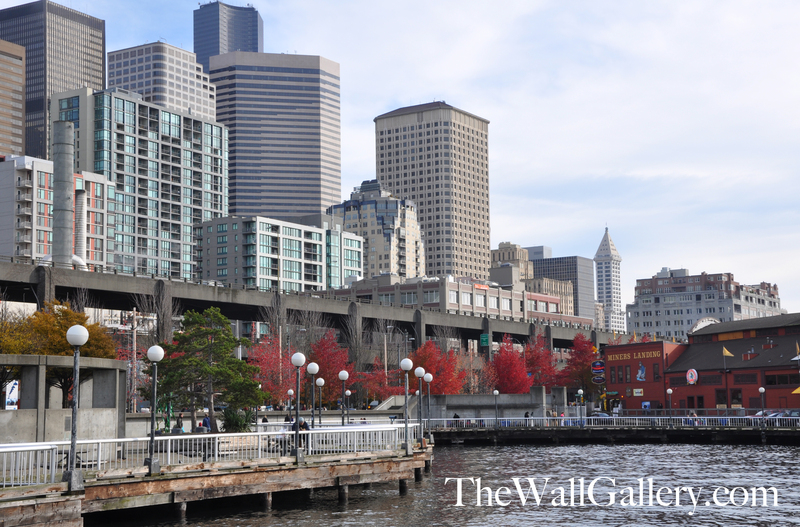 This entry was posted in Art Prints, Color Photography and tagged cityscape, color photography, downtown, ferris wheel, kirt tisdale, online art gallery, Photo shoot, photographer, Pier, seattle, seattle great wheel, skyline, water front on November 12, 2013 by Kirt D Tisdale.